The 2019 Chinese Nationals kicked off today in fast fashion, with athletes vying for spots on their nation’s roster for this summer’s World Championships in Gwangju. 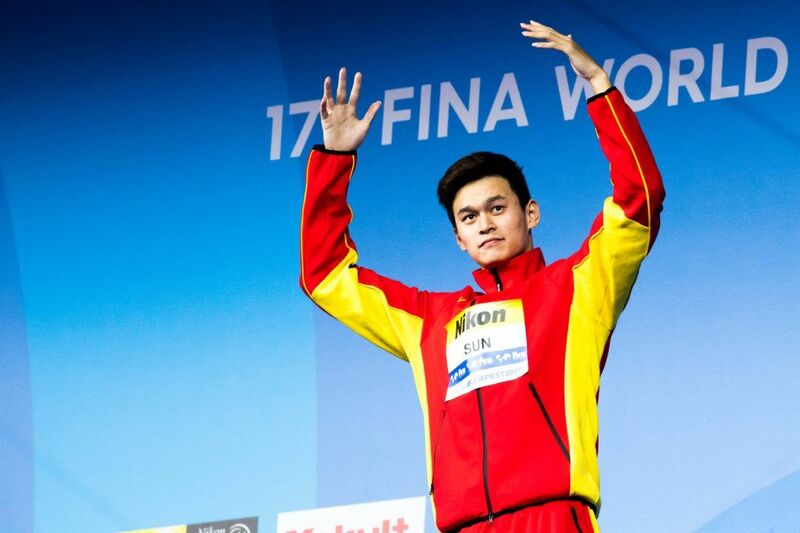 Perhaps the biggest gun to take to the Qingdao Sports Center pool today was National Record holder and multiple Olympic champion Sun Yang, who is racing in his first meet since his latest doping debacle. Sun was recently involved in another sketchy doping situation in which the athlete broke a number of testing protocols, including ordering security guards to destroy a vial of his blood. Dr. Han Zhaoqi, the head of the Zhejiang Anti-Doping Center told FINA that the testing nurse present didn’t have the necessary paperwork, and at a January 3rd hearing, the FINA panel ruled in Sun’s favor, stating that they would “never know” what had happened. Nevertheless, Sun produced a morning swim of 3:49.04 to take the top spot in the men’s 400m freestyle, only to shatter that mark on tonight’s final. Sun fired off a wicked-fast 400m free time of 3:43.73 to beat the next closest competitor, Ji Xinjie, by over 4 seconds. Xinjie touched in 3:47.88, while Meng Rui notched 3:51.48 for bronze tonight. Sun’s performance easily takes over as the top time in the world this season, marking the only swimmer to delve under the 3:45 threshold thus far. Beyond that, for additional perspective, Sun’s time would have taken 4th place at the 2016 Olympic Games, where he took silver in 3:41.68. His 3:43.73 outing tonight also would have taken the silver medal behind himself at the 2017 World Championships, as well as would have produced the silver medal in Jakarta, again behind himself, at last year’s Asian Games. Sun’s last 100 included a final 50 of 27.14. I wonder how fast everyone else would be on the substance.